Gavin Ely is a native Arizonan hailing from the Phoenix area. He has studied music at Brigham Young University and was graduated from Grand Canyon University with a Bachelor of Arts in Music with a major in Vocal Performance and minor in Piano Performance. He received his Master of Music and is currently pursuing his Doctor of Music degree in Choral Conducting from the University of Arizona. 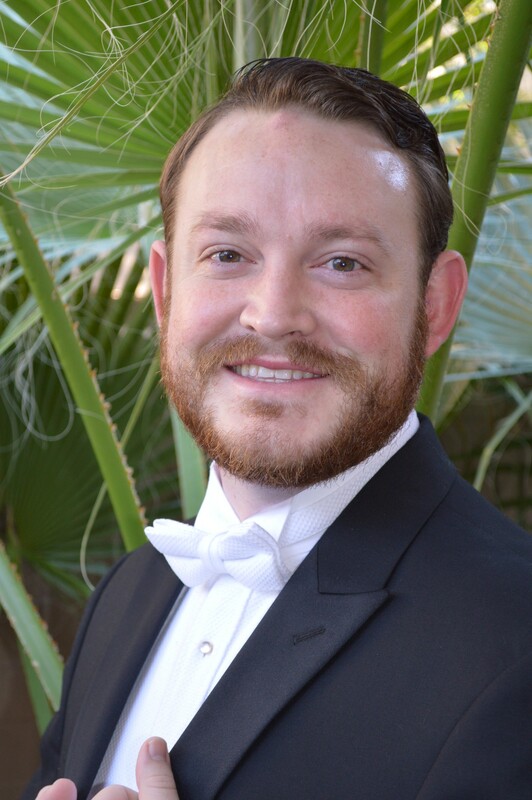 Gavin is currently working as the assistant conductor for the Tucson Arizona Boys Chorus. He maintains a piano and voice studio in the Tucson greater area. Gavin has performed as a soloist and ensemble member of several regionally-known ensembles including True Concord Artists and the Tucson Symphony Orchestra. His mentors include Mae Gustave, Tracy Peterson, Dr. Sheila Corley, Dr. Juan Hernandez, Mark Fearey, Dr. Julian Ackerley, Dr. Elizabeth Schauer and Dr. Bruce Chamberlain. Gavin gives thanks for much love and support to his wife, Cadie, and his children Peter, Fred, Daphne, and Freia.